If you’ve never designed a card game before, it can be easier to start by adding house rules to an existing game. Remove some cards you don’t like. Write a few of your own cards. Change some rules or even the victory conditions. Figure out how to make the game work with more players or solitaire. If you don’t have access to many card games, there are thousands of card games that you can play for free. Get a deck of traditional cards and a library book on card games. Some libraries also let you check out card games for use in the building. Or buy these great Dover books: A Gamut of Games and Card Games Around the World by Sid Sackson, Board and Table Games from Many Civilizations by R. C. Bell, Games and Fun with Playing Cards by Joseph Leeming, and Favorite Board Games: You Can Make and Play by Asterie Baker Provenzo and Eugene F. Provenzo, Jr.
You can also download many card games as free apps from Google Play or the Apple App Store. And the online site Yucata.de has many modern games that you can play for free against other users. Black Widow – The Queen of Spades (Q♠). Court Cards – The King, Queen, and Jack of any suit. Deuce – A card with the value of two, of any suit. Face Cards – Same as Court Cards. Honors – Ace, King, Queen, Jack, and Ten. One-Eyed Jack – The Jack of Spades (J♠) or the Jack of Hearts (J♥). One-Eyed King – The King of Diamonds (K♦). One-Eyed Royal – A One-Eyed Jack or a One-Eyed King. Suicide King – The King of Hearts (K♥). Trey – A card with the value of three, of any suit. Doubleton – 2 cards in the same suit (like a 2-card flush). Four of a Kind – 4 cards of the same value (different suits when playing with one deck). Five of a Kind – 5 cards of the same value (different suits when playing with one deck and with wildcards). Full House – 3 of a kind, plus a pair of a different rank. Long Suit – 5 or more cards of the same suit. Marriage – King and Queen of the same suit. Meld – 3 cards with a value when scoring. Pair – 2 cards of the same rank. Pinochle – Jack of Diamonds and the Queen of Spades. Roundhouse – A marriage in every suit. Royal Flush – Ace, King, Queen, Jack, and Ten in the same suit. Run – 3 or more sequential cards in the same suit (e.g., 5, 6, 7 of Hearts, or 9, Ten, Jack of Clubs). Straight – 5 sequential cards of different suits. Straight Flush – 5 sequential cards all in the same suit. Three of a Kind – 3 cards of the same value (different suits when playing with one deck). Uno is a version of Crazy Eights. Skip-Bo is a version of Spite and Malice (also known as Cat and Mouse). Phase 10 is a version of Liverpool Rummy. Balderdash is a version of Fictionary. O’No 99 is a version of 99. Still uncertain where to start? There are lots of varieties of Rummy out there, with many collections of house rules. Start with a grab bag of house rules collected from others, then organize those into your own game. One of the favorite games of Grace Mary Gilchrist, my great aunt, was 99. Each player had 3 lives (represented by 3 pennies apiece). Each hand involved dealing everyone 3 cards. A player would then play a card of their choice on the discard pile, announce the new running total, and draw a replacement card. For instance, the first card might be a 5. The next player might play a 7, making the total 12. The first player to go over 99 would lose the round and would surrender a life (a penny). The game would continue until all but the final player were eliminated. Ace: +1 or +11, as desired. 3: +3 – Skip the next player. 4: +0 – Reverse play. 9: =99 – The running total is set to 99, no matter what the prior total was. 10: +10 or -10, as desired. Jack, Queen, King = +10. I always preferred 99 to Uno because it was quicker, built to a conclusion (had a story arc). It also has some interesting strategy to it. The game is often described as a good game for teaching children to add yet it is not great for that, as you can’t add by 4 or 9 since those cards have special meanings. Games that eliminate players aren’t always fun, especially with big groups. So instead, if you lose, you take a penny. The last player with no pennies in front of them wins! Designing a card game is messy. You will have what you think are good ideas that, when you play them, you find don’t work that well. With that in mind, start with a simple game and add complexity over time, as you play. Think of a game idea. Document the current state of your game idea. Apply feedback. Go back to step 2, as often as necessary. Develop and polish. Go back to step 2, as often as necessary. The key to agile development is to apply feedback and iterate. The breakthrough realization of the software industry was that people can’t anticipate all user requirements in advance but need to discover needs through exposure to prototypes and feedback. The same process works well for game design. Inspiration strikes, and you get an idea for a game. Or you are challenged to come up with a game idea for a design contest, a homework assignment, a Scouting exercise, or a design challenge in this book. Thinking in terms of mashups might help you come up with ideas for card games as well. “If you steal from one author [or game designer] it’s plagiarism; if you steal from many it’s research,” said the playwright Wilson Mizner. Don’t feel bad about starting from such a point. Your idea will change and diverge from this initial inspiration as you develop the game further. In fact, your playtesting and development will consist of original research that will make the final product your own. Another way to proceed is to take an existing game and constrain it. What would Monopoly be like as only a card game? What might Magic: The Gathering look like with only 104 cards? Constraints help fuel ideas. And, as you look to develop experience by designing games, constraints make everything easier. And constraints are realistic. Professional developers often have design constraints. They are asked to come up with a sequel to an existing game. They are asked to come up with a board game about a movie, a comic-book character, or even about a video game. They are asked to use components that will fit under a specific budget, so the game can be priced at $6, $16, or $60. You will find that the hard part isn’t coming up with ideas: that’s a myth. Once you start looking for ideas for games, you’ll find them everywhere. You will quickly come up with more ideas than you develop. Keep a notebook handy to record your ideas as they come to you. At this moment I have 36 ideas for games in my idea file (a list of games that I haven’t produced prototypes of yet) and I have 12 prototypes that I haven’t developed into finished games yet. Keep track of your ideas and you’ll find you have plenty. The hard part will be sticking with an idea, and then seeing it through to completion! So pick an idea and move to step 2. Some game designers skip this step and immediately create their prototype. I don’t because I find that the act of writing down notes about the game often helps me come up with new takes on the idea. It’s easier to write down notes than it is to start making cards. You don’t need to write the type of rules document that you would present to a player. You just need a short outline of the key parts of the game to help you organize your thoughts and explain the game to playtesters. It’s also helpful to create a quick table or grid of the ideas for cards. For instance, here’s a grid of the cards in the first edition of Bruno Faidutti’s Citadels, by cost in gold coins and by district color, with the quantity of that card in the deck in parentheses. Each purple building also has a special power, but many of those would probably be missing from a first draft and would be the subject of iterative development. One mistake I’ve made is to spend a lot of time on the first prototype. I used to find great pictures from the Internet, carefully develop a graphic design of the cards, and even proofread and edit the text on the cards. Then set it all up on the computer, print out the cards, and play the game only to find out it was lousy! Having spent all that time on graphic design, I ended up being reluctant to make the changes and to do the hard work of revision and iteration that is typically necessary to make a good game. So don’t stress yourself about making the game pretty! Keep the card design simple for your playtests. If you’ve created a game worth playing, playtesters will be engaged even with simple graphics. I still often end up spending too much time researching the inspiration of the card – the history of the Greek city of Olympia, railroad stock in the 1880s, the types of new planets being discovered – rather than spending time making sure the game is fun and playable. So don’t worry, yet, about making the game a more accurate portrayal of the time period or theme. Don’t worry yet whether or not you have the right name for a card. You can do all that later. Your goal at this step is simply to create a basic version of the game that you can use to make sure the game is fun to play and works the way you expected it to. Scribble on pieces of paper; write on index cards; even write on old playing cards. Get your ideas down in a playable format, with the goal to move on to the next step as rapidly as possible! Some games you can initially playtest just by yourself to make sure the basics are working as expected. However, it is always helpful to have someone to playtest with. But you need to make it clear to your playtester that you are not asking them to play a real game, and they should look at is more as an experiment. Often the best playtester is a good friend who is also designing games. That way you can return the favor and playtest their games. Often much will need to be changed. In fact, don’t be afraid to stop play and write on cards to change them and start the game over. (Another reason to use rough rather than pretty prototypes, so you don’t mind writing all over them!) Remember, you are trying to see if the game works and is fun. You don’t need to play it through. My son and I were playing a game and kept changing the rules to make them work better when at one point we decided to start the whole game over. That’s fine! If a solution is obvious to you and easy to implement, then by all means try it, but don’t feel you need to solve the problem during the play test. That can be the wrong time to fix big problems. Instead, during the game concentrate on identifying problems: solutions can come later. Playtest, playtest, playtest. Then use what you’ve learnt to make the game better. Sometimes you can make changes to a game during the game itself or between games. But other times you identify problems with the game without easy or obvious solutions. In those cases, you will need to think about the solutions to the problems you identified. Sometimes playtesters have good ideas. Sometimes, though, people leap to conclusions about a game based on a few plays. I’ve heard people say a game that was professionally published was “broken” after playing it once, when maybe they just misunderstood a rule or got a rare permutation of cards or events. In science we would want lots of feedback to see if it was consistent over time. People, however, are used to jumping to conclusions and overgeneralizing. As you grow in experience you will start to develop a feel for the feedback that you should act upon versus the feedback that may not be as applicable as the players think. Sometimes the feedback just won’t be relevant. If you have a vision or goal for the game, and some of the suggestions would have you abandon that goal, that’s feedback you should ignore. One playtester complained one of my games was “too mean” but the game was designed from the start as a “take that” type of game. Changing that would alter the fundamental design philosophy of that particular game. If, after reviewing the feedback, you have changes you want to make, then go back to step 2 – document your game idea – and follow the steps from there. Acting on and applying feedback is the principal driver of agile game development. If you think the game is as good as you can make it, you are ready to start developing the game! As you work on your game design, you will naturally refine it. You will come up with better ideas for card actions, better names for cards, and better ways of graphically representing some of the properties of the cards. Once you have playtested the game and know that it works well, that is the time to write detailed rules and produce good-looking cards using graphic-design software. You will still want to playtest the final text of your cards, and the rules, to make sure that they are clear to players and to eliminate any points of confusion. Developing is often a time to take away complexity. You might realize that a common function is documented or performed slightly differently in two places. In such a case you should select the method that works best and make everything consistent. If you make major changes, then go back to step 2. Finally, you have the game as good as you can make it, as attractive as you can make it, and as fun as you can make it. It’s time to share the game or even publish it! Now you can share the game with friends and the wider world. You can share the game with people by uploading the files to sharing services like Google Drive or DropBox. You might want to publish it for free for people to download from popular websites like BoardGameGeek and Good Little Games. Or, if it is really good, you might want to publish it for sale from on-demand printing sites like DriveThruCards and The Game Crafter. Or maybe you think your game deserves professional printing, in which case you can run a Kickstarter to raise the money to publish the game. And, of course, you can submit the game to game publishers to see if they are interested in publishing the game for sale. All of this might sound like a lot of work but you will discover that it is a lot of fun with lots of room for creativity. Happy designing! Only 13% of Americans play card or board games at least once a week, while 43% play such games once a month or more often. Americans go to the movies slightly less often: only 7% go at least once a week, and 39% go once a month or more often. This is according to a Researchscape online survey of 2,000 U.S. adults aged 18 to 80 years old, quota sampled to reflect the U.S. population by age, gender, region, Hispanicity, and education. The survey was fielded from June 22 to June 24, 2018. Frequency of play is driven by formal education and income, by age, household size, and Hispanicity. The more formal education someone has, the more likely they are to play card and board games, and the more likely they are to play games more often: 72% of those without a high school degree play card and board games and 80% of those with only a high school degree (and no vocational or college attendance) do, compared to 90% of those with a master’s degree. When it comes to frequency, 23% of those without a high-school education play once a week, compared to 46% of those with master’s degrees. 26% of those in households making under $50,000 per year play board games at least a few times a month, compared to 35% of those making between $50,000 and $100,000, 40% of those making between $100,000 and $150,000, and 46% of those making $150,000 or up. 54% of those with five or more in their household play games at least a few times a month, compared to 46% of those with four people, 31% with three people, 24% with two or more, and 22% in households of one person. The effect is even more pronounced for households with children: 57% of households with two or more children play games at least a few times a month, vs. 39% with one child, and 22% with no children. 36% of those who are married or living with a partner play games at least a few times a month, compared to 30% of those who are single and 21% of those who are divorced. 44% of Millennials play board or card games at least a few times a month, compared to 34% of Gen Xers, 20% of Baby Boomers, and 17% of the Silent Generation. 41% of Hispanic households play games at least a few times a month, compared to 30% of white households. Of those who play games once a week or more, the most common answer is 2 hours a week, the median amount of time spent is 5 hours a week, and the average is 7 hours a week. If you play board or card games 10 or more hours a week, you play games more frequently than 99% of Americans. Have a market research question about tabletop games? Please post it below, and I will try and answer it. Researchscape International conducted an online survey of 2,000 U.S. adults aged 18 to 80 years old, quota sampled to reflect the U.S. population by age, gender, region, Hispanicity, and education. The survey was fielded from June 22 to June 24, 2018. About one in five U.S. consumers had purchased a video game in the past month, compared to one in ten who had purchased a board game and a similar amount who had purchased a card game. In 1935, the film Mutiny on the Bounty, starring Clark Gable and Charles Laughton, won the U.S. box office movie of the year, and Parker Brothers introduced Monopoly. In some alternate universe, where people embrace movies the way they embrace board games in our universe, Mutiny on the Bounty still dominates the box office but people play a wide variety of board games. In our universe, however, Monopoly dominates. Seven out of ten consumers who had purchased a game in the prior month had purchased it for themselves, while three out of ten bought it as a gift for someone else. While half of consumers have no preference for playing an old or a new game, more than three times as many consumers would rather play a game they had played before than a new one (39% to 12%). Those who had purchased a board game or card game in the past 30 days were twice as likely to be interested in playing a game new to them (25% and 27%, respectively) but still preferred to play a game they had played before (32% and 28%, respectively). While board game enthusiasts often talk about the “cult of the new”, the majority of Americans who purchase games prefer the cult of the old. BoardGameGeek.com allows users to log every tabletop game they own. I’ve always wondered: How comprehensive are these collections? Not very! Only 9% of BGG users have cataloged all of their games, and only 16% have cataloged most of their games. Only 13% of those making under $50,000 had logged most or all of their game collection, compared to 32% of BGG users with higher incomes. More people have heard of Kickstarter (42%) than crowdfunding in general (35%). Parents with kids at home were less familiar with either, yet paradoxically parents were more likely to have actually backed a tabletop game on Kickstarter than non-parents. A greater proportion of Millennials have supported a game on Kickstarter than any other generation. Respondents in households with annual incomes above $100,000 were more likely to be aware of Kickstarter and crowdfunding and were more likely to have backed a tabletop game on Kickstarter. Both Trump and Clinton supporters had similar levels of supporting a Kickstarter tabletop campaign, while those who didn’t vote in 2016 were half as likely to have supported such a campaign. Not surprisingly, users with BoardGameGeek.com accounts showed similar demographics patterns to those of Kickstarter backers. As with Kickstarter, Millennials were also the most likely to have a BoardGameGeek.com account. The higher the income, the more likely the respondent was to have a BoardGameGeek.com account. Have research questions about tabletop gaming? Post them below. Also see my post: The Installed Base of Board Games vs. BGG Ownership. Now buildings falling down was great fun in the video game, and in Pacific Rim they made sure all the cities were evacuated so that the viewer wouldn’t feel guilty about buildings falling down, but the body count is higher and less comic in the Rampage movie than in the video game. The best thing about the movie for me was simply ending up playing the video game again. You can play Rampage online here. I’ve always been curious about what subset of board game owners log their ownership on BGG (BoardGameGeek). Jamey Stegmaier just shared the installed base of five core products. I cross-referenced that against BGG ownership stats. So sales outnumber logged ownership anywhere from a factor of 3.5 to 7.8, depending on title. This range will widen even further when you factor in games with four-digit sales and mainstream games (beyond the hobbyist games most frequently documented on BGG). A slight problem with your analysis is that Jamey’s numbers are how many he made and/or sold into distribution. At any given time thousands can be sitting in distribution and warehouses and store shelves. So they are not #’s to customers sold by any means. When I take an estimate of # of copies in the channel for my games and compare to the people marking them as “owned” on BGG – I get a 30-55% range on the 4 most popular games of ours. Your number above would result in much lower %’s but as I said we don’t know how much is just sitting in channel versus bought. That variance for me is anywhere from 10-35% depending on my current inventory levels. I guess the point here is that one can assume that even for indie companies who do most of their marketing online and BGG – they still can only expect about 20-40% of their sales to be marked there. Which implies pretty good saturation there as BGG probably reflects less than 10% of overall buyers (not to mention many BGG people don’t actually track stuff with the database). My card game, Civscape, is now available from The Game Crafter! If I were lucky, I’d sell about 400 copies at a $2 profit ($800). After investing maybe a hundred hours in managing a Kickstarter. I don’t have a following in the game design space that I can leverage for Kickstarter. Crowdfunding is a great way to monetize a following – but it can be a hard way to build a following. The game is an oxymoron. By design. I love the civilization theme and was eager for a take-that game with a strong narrative, such as the shifting fortunes of a Mediterranean city state. But all the reviewers I sent review copies to were taken aback: with the civilization theme, they expected something strategic. As a civilization-building game, though, I felt like Civscape really missed the mark. There is too much take-that to really feel like you are ever building anything. I think the game would work much better as an abstracted take-that card game, maybe with a silly theme. It’d need the card text to be much simpler though. To keep the civilization theme (which I love, just not with these mechanics), the game will need to tone down the amount of card cycling that goes on. Player interaction would still be great, just not in such a hostile way. Civilization building should be about planning, technological synergy, outpowering your opponents, and interactions through trade and combat. Instead, Civscape is all about getting lucky with cards that screw your neighbor while you hope to be the first to draw a winning combination. Independent card games are a niche market, and the reviewers taught me that Civscape was an even narrow niche. I play the gamut of games, from tactical to strategic, from 5-minute games to 5-hour games. The inspiration for Civscape came February 23, 2012, when one of my best friends and I played cards with three teenagers. It was the first time we played Star Fluxx, and we ended up playing it seven times that night. In a classic moment, which game reviewers would hate, we dealt my son (who had arrived late) into the middle of a game, and he won on his first turn! I’d rather have players draw cards at the end of their turn than the beginning, to give them time to read them and plan for their next turn. I wanted a sense of progression. In Civscape, the more cards in front of you, the more you can play and the more you can draw. 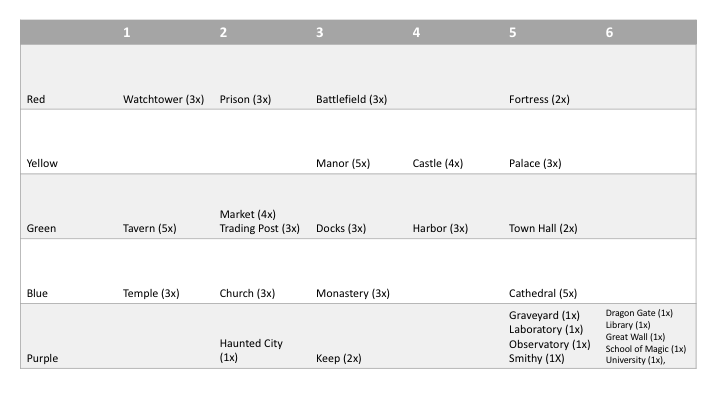 Instead of rule cards like Draw 5 and Play 2, these powers scale with your city-state. Fluxx Rule cards just fluctuate randomly, and some just make the game drag on (Keeper limits and Hand limits, which end up hurting even the current player once their turn ends). The Goal cards (how you win in Fluxx) are useless in and of themselves and most don’t apply to your current situation. In Civscape, you can always discard a Statue, Wonder, or second-generation Technology (play one and meet its criteria to win) to draw 2 new cards instead. And while the Wonders and Techs are like Fluxx’s Goals, typically requiring a pair of cards to win (Keepers in Fluxx, Buildings or Technologies in Civscape), Civscape has Statues, which let you get 4 of a type of card or other kinds of sets to win (e.g., Hannibal wins with 4 Trade cards, Pericles needs one of each type). I didn’t want the game to outstay its welcome: I recall games of Pirate Fluxx and Oz Fluxx that took so long that people helped others to win, just to end it. Typically multiple people will be able to win in rapid progression, thanks to the Statues. Some of the really negative take-that cards (Burn the Library, Sack the City) get memorialized in your city’s Timeline, part of its history (while increasing the number of Buildings you can maintain by one). To be clear, I love Star Fluxx, and have now played it nearly 50 times. It’s probably my favorite version of Fluxx. Even its shortcomings were inspirational. If a take-that civilization game resonates with you, the print-and-play version is still free. Or buy the new Game Crafter edition! As we discussed last time, while BASIC Computer Games became a bestseller because of microcomputers, the games themselves dated back to timesharing systems using teletypewriters. As a result, a few of this first generation of BASIC games produced printed output as the primary purpose or as the game itself. The most game-like of these was Amazing, which would generate a new, random maze that you could solve on the printout. :--:--:  :--:--:  :  :  :  :  . :  :--:--:  :  :--:  :--:--:  . :  :  :--:--:--:--:  :  :  :  . :  :  :--:  :  :  :  :--:  :--. :  :  :  :--:  :  :--:  :--:  . :--:--:  :--:--:--:--:  :  :  . :  :--:--:  :  :  :  :--:--:--. :--:  :  :  :--:  :  :--:  :  . And, finally, Calendar would produce a calendar; hardcoded for 1979. You can give each of these a spin in this BASIC emulator (every program from BASIC Computer Games can be preloaded from the dropdown menu). Next time, we’ll look at the primitive visualization tools that were packaged as “games”.